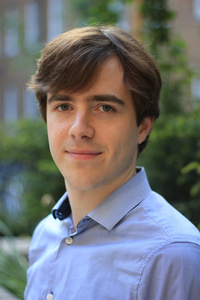 Congratulations to Brecht De Man, C4DM PhD Student, who was recently elected Vice-Chair of the Audio Engineering Society’s Student Delegate Assembly. There are two regions, North/Latin America, and Europe/International, and each region is represented by a chair and vice chair. These students essentially commit to a volunteer part-time job in which they assist the Education Committee Chair and Vice Chair to plan, organize, and run student events at conventions, and represent student members to the AES.